We are in San Cassiano (1,537 metres above sea level) in Alta Badia, in the south-east part of Alto Adige. 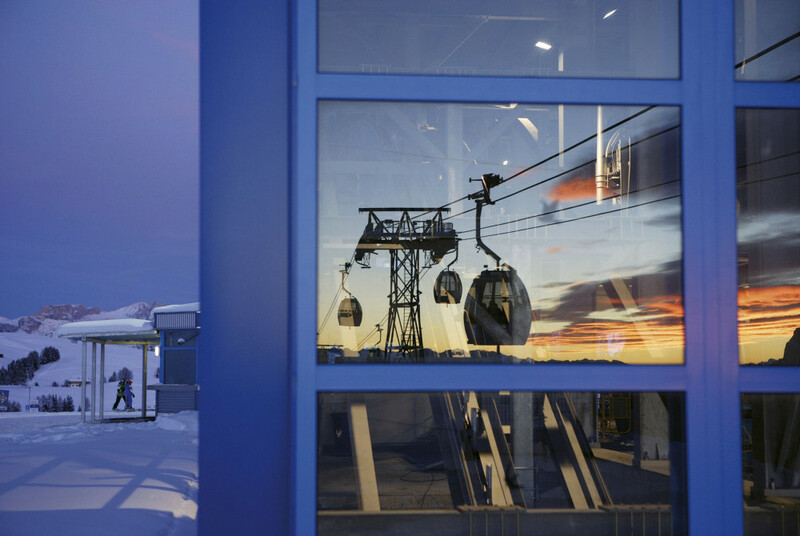 The Dolomites that surround us have been included in the UNESCO list of world heritage sites, so it is a strategic starting point to explore the Dolomites both in summer and winter, since we are just 200 metres away (5 minutes on foot) from the Dolomiti Superski ski lift. 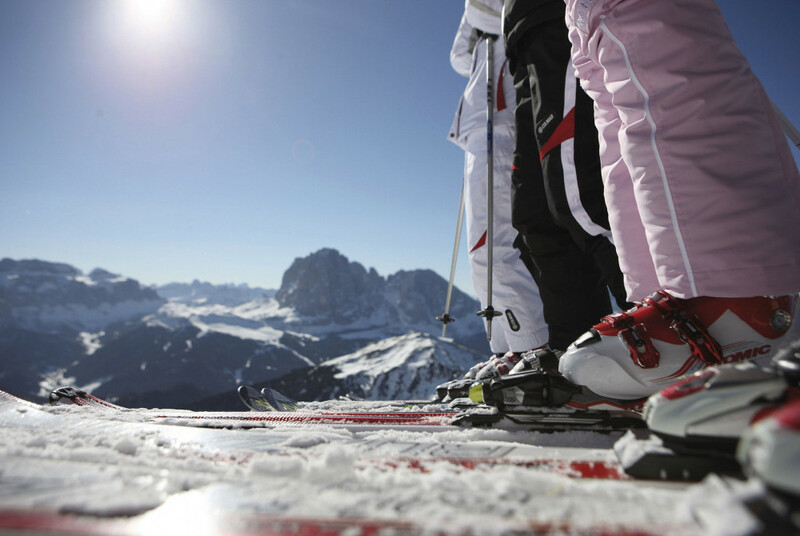 Besides being considered the heart of the Dolomites, Alta Badia is the homeland of the Ladin people and culture, its key elements being warmth, evocative traditions and excellent food and wine. The municipalities (“comuni” in Italian) that are part of it (Corvara, Colfosco, La Villa, San Cassiano, Badia, La Val), as all the Valley, speak three languages, and all titles are given in Ladin, German and Italian. Alta Badia is known the world over for its ski park (made up of an outstanding network of 130 km of skiing slopes with breathtaking views and 53 advanced ski lifts between Passo Valparola, Passo Campolongo and Passo Gardena), and has direct connections to the over 500 km of slopes of the Dolomiti Superski and the Sellaronda skiing compounds. 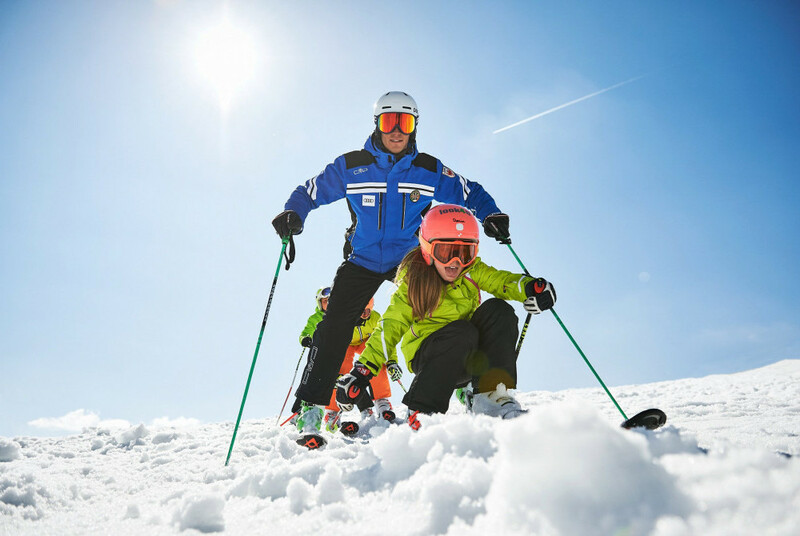 Not surprisingly, it hosts a World Championship giant slalom every year, at the famous Gran Risa, which is considered one of the best slopes in the world for this sport. 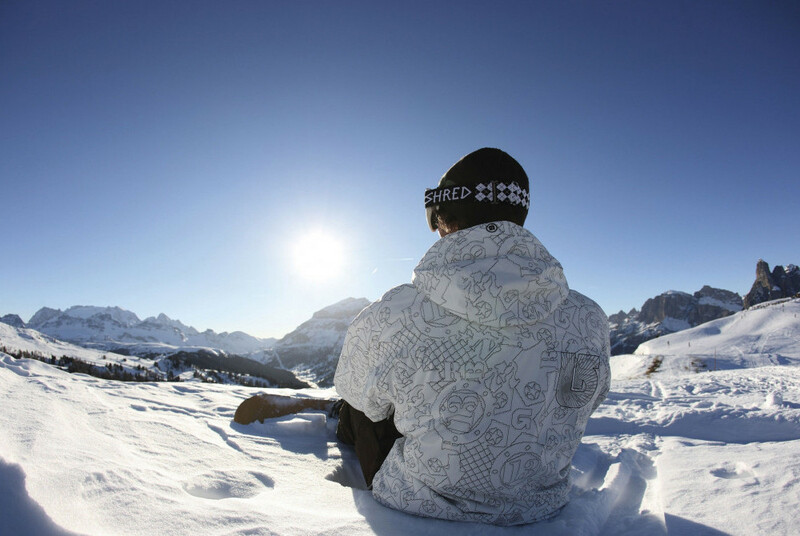 For many, Alta Badia is a synonym of Sellaronda, one of the most famous panoramic skiing courses of these mountains, with 40 km of slopes that touch the four Ladin valleys (Alta Badia, Val Gardena, Val di Fassa and Livinallongo) and three provinces (Bolzano, Trento and Belluno). 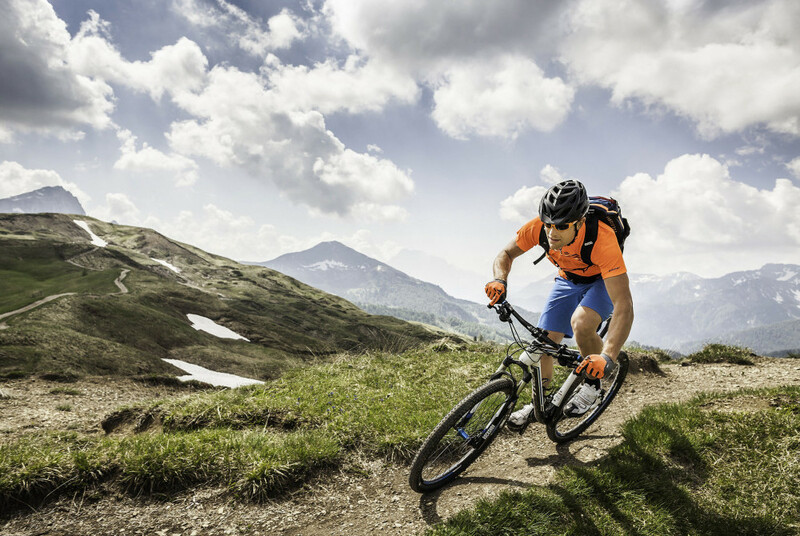 All you have to do is go up Piz Sorega. From there, you get to Corvara, where you can enter the circuit of the four passes either clockwise or anticlockwise. 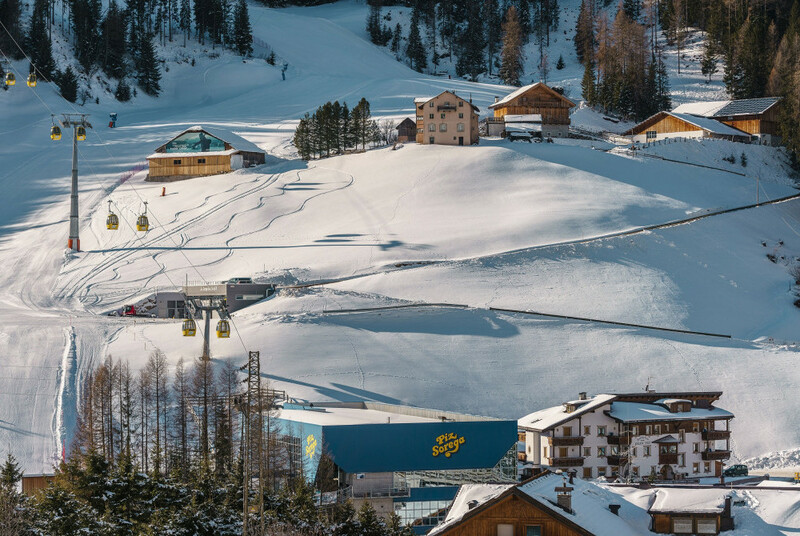 From Piz Sorega you can also reach the Armentarola, Alta Badia’s longest slope, following the blue - B, where La Utia, the family’s cabin is, and take the bus to Falzarego and climb up the Lagazuoi. 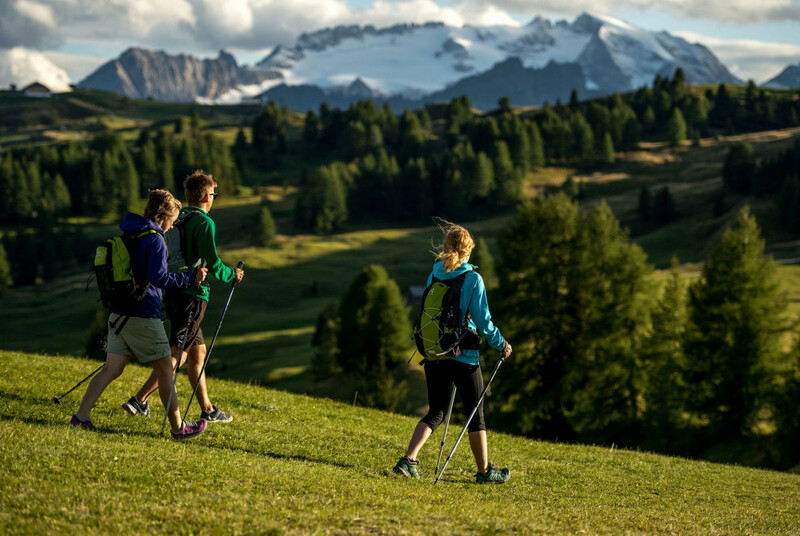 We’re also just a kilometre away from the renowned cross-country skiing school Alta Badia ad Armentarola – San Cassiano, where you’ll find slopes for 30 km where you’ll be able to practice skating and other disciplines. If skiing is not your thing, don’t worry, in Alta Badia you’re spoilt for choice with a myriad other activities: hiking, with or without snowshoes, with over 80 km of carefully prepared routes, horse riding all year round, thanks to South Tyrol’s typical race of horses (the Haflinger), ice skating, and many indoor activities like tennis, swimming or indoor rock climbing! 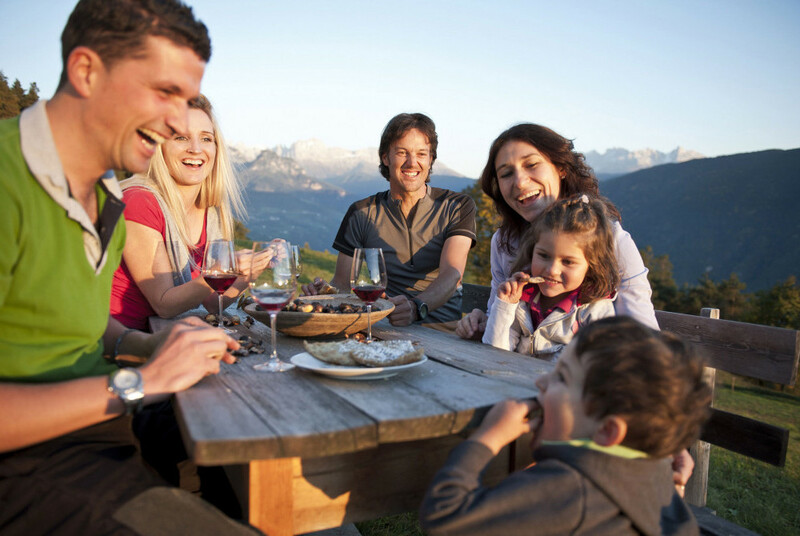 In summer too, the area offers just as many activities, both if you want to relax, or if you want to have an active holiday in a unique natural environment made of alpine meadows, pastures, cabins, castles, mountain lakes, hikes in woods of Swiss pine and fir, and in the evening enjoy the Alpenglow, when the light of the sun reflects on the mountains and tinges them pink. Thanks to its central position, San Cassiano is also the ideal starting point for many unmissable treks (which can include a stopover in one of the many summer cabins and explore the dishes – many of them gourmet – of Ladin cuisine); for example, nearby is the starting point of the larch trail (Tru di lersc), and the artists trail (Tru di asrtisc), also suitable for children. The first is a didactic trail winding through larch woods and mountain meadows, the second is an open-air museum exhibiting the work of artists coming from all around the Dolomites. In Alta Badia alone there are 400 km of well-marked trails which can be hiked alone or with guides, and it is easy to reach a high altitude, since ski lifts are open in summer too (there is a dedicated badge); the feather in our cap are the Movimënt parks, equipped with advanced facilities for many kinds of physical activities: trekking on foot or by bicycle, Nordic walking, paragliding, golf, via ferratas, rock climbing and even freeclimbing. It’s heaven for sports-a-holics! 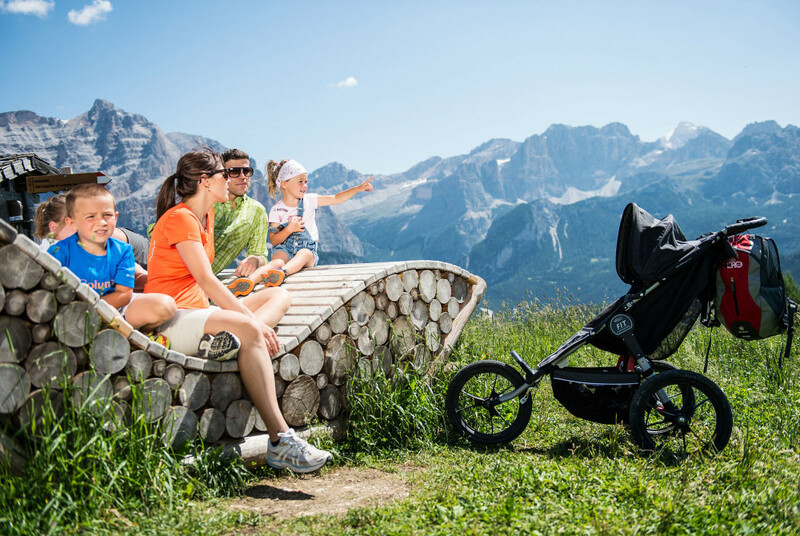 There are parks with surprises for kids too, with the dedicated programme “Summer for kids” of the Alta Badia tourism partnership. 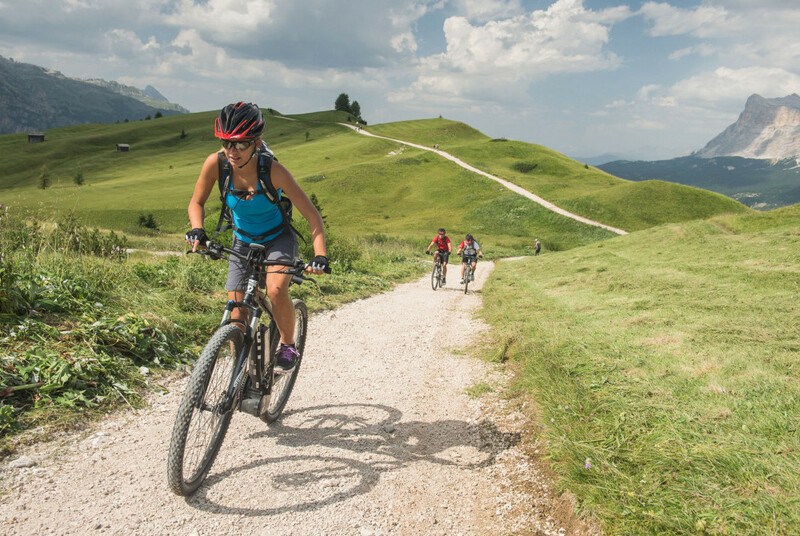 This is also the land for bicycle lovers, with world-famous events like the Maratona dles Dolomites (starting from La Villa and ending at Corvara) or the Sellaronda Bike Day, which allows you to go round the four passes (Sella, Gardena, Pordoi and Campolongo) free from cars and exhaust fumes! There are many events that enliven the town of San Cassiano, for example in August, with the “Paisc in festa” (town party) with music, food and wine stands, and a market of traditional products and crafts.